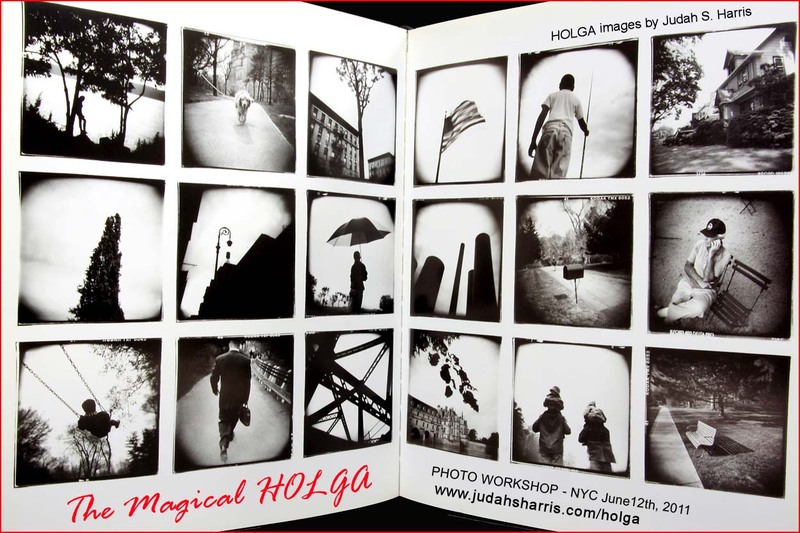 The Magical Holga photography workshop will take place on Sunday, March 31, and a review session on Thursday, April 4 in the evening, in NYC. The workshop is limited to 12 participants and class hours are listed below. 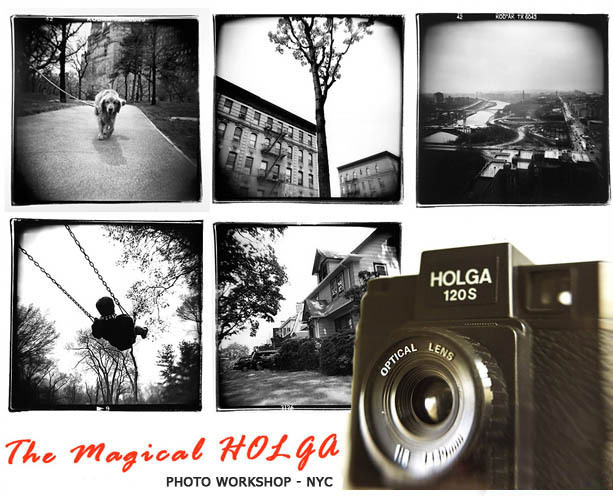 The Magical Holga Workshop cost is $285 per person and includes both the Sunday class and Thursday evening session, five rolls of 120 format B&W and color film, and the opportunity to meet other Holga camera enthusiasts. Participants will pay for their own meals and their own processing, though a student discount at a favorite photo lab of mine in Manhattan has been secured for $20/roll. The workshop fee also includes a brand new "Holgamods Modified" Holga camera which we will prepare for shooting. If you already own a Holga, it's a nice idea to have a second one (carry both, one loaded with color and one with B&W film). Class size is limited to to a maximum of 12 people. If you are not able to attend this session, there will be more in the fall and winter, as well as other photo workshops, including a basic course in digital photography. Make sure I have your email address so that I can notify you of workshops and photography classes that I'll be teaching. You receive a full refund if cancelled up to 72 hours before the start of the workshop. There are no refunds after that time, but you will have the opportunity to be admitted to a future workshop if space is available. A Holga camera received as part of the workshop is not refundable, and the camera will be mailed to you, postage-paid. If you need to cancel, send an email to: holgaworkshop@judahsharris.com (make sure that you receive confirmation of your email). Payment for the workshop may be made by PayPal (including credit card via Paypal) or personal check. Maybe you've already fallen in love with the Holga camera. Or maybe you heard of its unique qualities and want to learn how to make it work for you. This workshop will let you explore your own personal vision and creativity. The magical Holga is an artist's tool that anyone can use! I've titled this photo workshop The Magical Holga. The Holga is indeed magical, but it isn't magical in the literal sense, rather it puts a photographic tool in your hands that will let you create wonderfully magical photographs. I've had my Holga photographs appear on the covers of novels, in advertising in the US and Internationally, in magazine profiles, and on the Op-Ed Pages of The NY Times. I'll be teaching you many photographic techniques and special creative skills to best experience the Holga. After completing this workshop, I guarantee you'll be a better photographer and a better artist. What is the Holga capable of and what can't it do? Finding individuality even within the Holga "look"
The photography session will take place on Sunday, March 31st from 9:45am-2:45pm and a follow up review session at a local restaurant on Thursday, April 4th from 6:30pm-8:30pm. We'll be meeting for the Sunday portion in Central Park. The class will be held outdoors, so please dress appropriately. You deserve a discount - save $25 on the workshop fee! A photographer, filmmaker, speaker and writer, Judah S. Harris has spent more than two decades exploring and then commenting on many facets of the human drama. His photographic work is widely praised for both its distinct composition and strong narrative and has appeared on the covers of more than 40 novels, in magazines, advertising, and museum and art gallery exhibition. 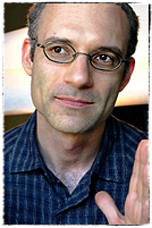 Judah has taught business and marketing at the Fashion Institute of Technology, been an invited speaker to NYC photo clubs, and teaches photography both in class settings and as a mentor and personal coach. New York City is one of Judah's favorite subjects (especially the NYC subway!). His photo exhibit, City Stories, shown at The City Reliquary in Brookyn, NY (2007), featured a collection of 37 NYC photographs, including some taken with the Holga camera. You can also view the schedule for additional photography classes and trips.